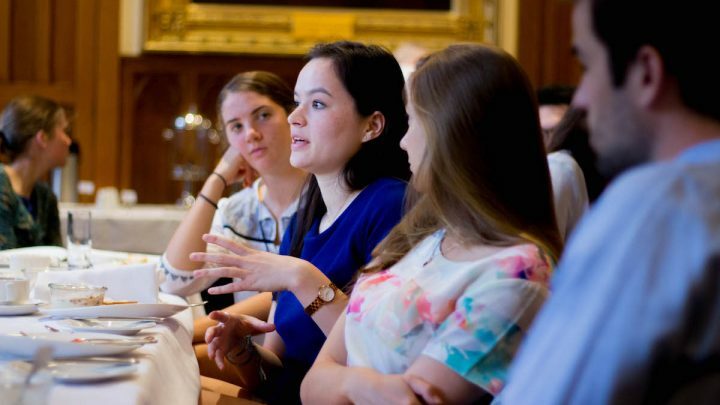 Our Learning Program allows graduate students to excel in their studies, explore ideas and skills outside their studies, develop their professional skills and network with leading alumni in their field. Our offerings change each year, as we work in partnership with students to pursue their passions and interests. As students are studying a variety of highly specific graduate degrees, in most cases such assistance is tailored to the individual student’s needs. All graduate students, including research students, can request academic assistance from the College, which might include tutorials, consultations, or guest speakers. Professional engagements are unique opportunities to see inside the profession, learn more about the dynamics of specialisations and make informed choices about career paths, and network with people already practicing in the field. Students can also present their work in an academic forum or publish it in the College’s annual academic journal, Ormond Papers. Our alumni and friends community give generously and enthusiastically of their time to support the professional engagement program. This is our mentoring project connecting graduate and alumni volunteers. The program offers insights into careers pathways, professional directions and offers helpful support and advice for higher education studies. We connect graduates with alumni in our community in a similar field of study to meet for four coffees and a dinner to share invaluable insights. Ormond students are offered in-house training in work readiness skills including CV preparation and interview techniques. 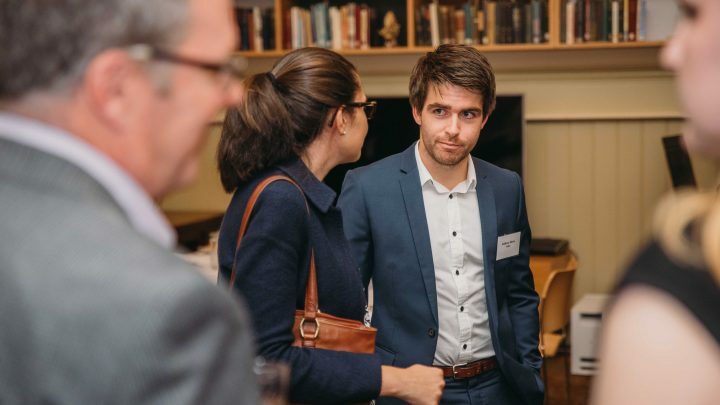 As well as guest speakers and workplace visits that expand their knowledge of career pathways and give them an opportunity to network and connect with Ormond alumni. 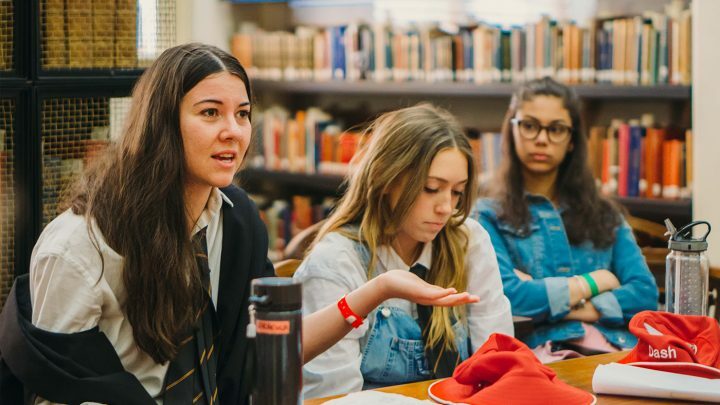 Students with an interest in social justice and sustainability come together to develop key skills and to contribute to their local, national or global community. They address some of the complex problems facing our country and our world. 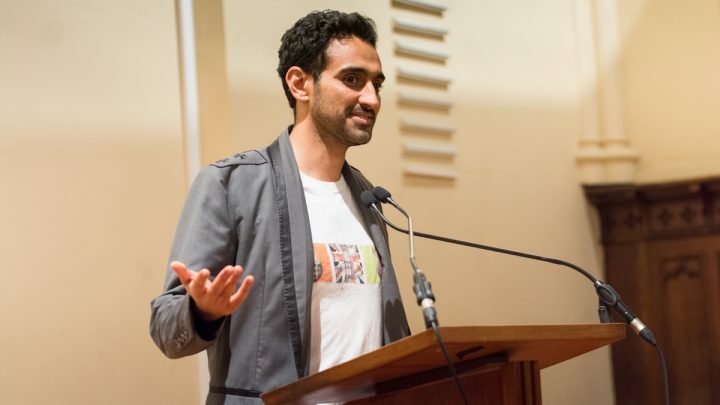 We combine our students’ desire to make a difference and their unique perspective to empower them to create the change they want to see in the world. The initiatives are student-led, and include local volunteering opportunities. Our Musician in Residence, eminent classical pianist Stephen McIntyre, invites his friends and students to delight us with regular Allen House Soirees. Our small art and design studio fosters a collaborative relationship amongst Ormond’s artistic students and offers them space to prepare for the annual Art Show. The dynamic singing and music scene at Ormond is student-driven. 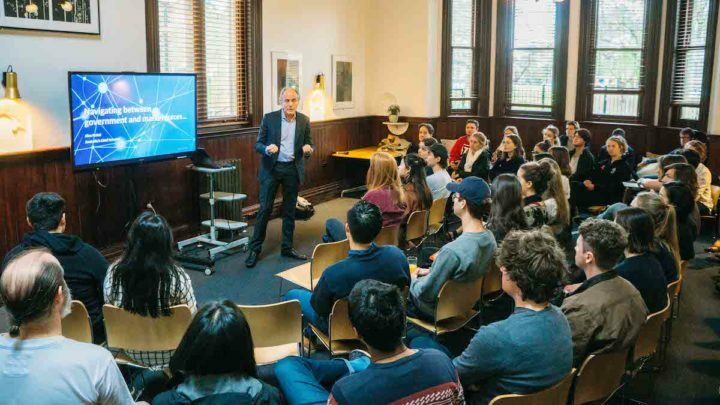 Each year, the Master of Ormond College provides new students with an introduction to ethical frameworks. These workshops are highly interactive and examine contemporary ethical challenges through the lens of key philosophical schools of thought. This is complemented by weekly seminars on Ethics, covering both Western and Eastern philosophical theories in first semester, and applied ethics in second semester. Our partners, The Centre for Ethical Leadership, also offer you an opportunity to compete for a fully-funded trip to the International Business Ethics Case Competition. Teams of Ormond students have the opportunity to pitch a policy proposal to a federal or state politician, taking into consideration their party platform and portfolio interests. A genuine chance to make a difference today. Each year we invite guest speakers to engage with our students and tutors in the Ormond Speakers series; including the Robson Lectures. We welcome guest speakers most Mondays to discuss diverse and stimulating themes; most emerge from current student interests and public sphere controversies. Offers students a chance to build skills and test themselves against contemporary challenges. Each year, an editorial committee of Ormond students produces Ormond Papers, a published journal which contains academic and creative work from Ormond’s students, staff and alumni. We facilitate a range of experiences including the GARMA Festival, an excursion to the Bawaka homeland, the summer school at the Shanghai University of International Business and Economics, and the reading of the Federal Budget in Canberra (hosted by Ormond alumni). Luke spoke to students about his work in the prevention of violence against women and his passionate advocacy for gender equity. A student-led initiative, celebrating academic achievement across the College. A series of guided discussions to explore different facets of philosophy as they impact our modern lives including cultural appropriation and democracy, to name a few. Education is at it’s best when it’s personal and brought to life. Ormond College tutors are highly skilled, and quality teaching and learning is at the centre of the Ormond Learning Program. Our students achieve excellent results because we understand that the best learning is personal. Our resident tutors and fellows who teach in the Ormond Learning Program are closely involved in the life of the College. They support you with teaching and mentoring, and provide an experienced perspective on learning and community living. Our Leading Tutors work three full days/evenings each week, and connect with you through tutorials and individual consultations. They’re also involved in the design and delivery of professional development activities for all Ormond tutors. With our broader network of regular tutors who come to Ormond especially to host weekly tutorials, we can ensure high-quality learning in a truly broad range of subjects, and include people with diverse professional and academic expertise. Maintaining a high-quality experience, our learning staff attend regular professional development activities to help them deliver a superior student experience. Our peer reviews also help them to continue to adapt and improve their teaching practice. Excellence in medical learning since 1881. The history of medicine at Ormond stretches all the way back to 1881 when medical students were among the first students to join the College. Since then, medical students have been one of the strongest groups of students at Ormond, with one in five of our alumni involved in the medical profession. Our medical alumni and friends have also become the College’s most significant benefactors, providing Ormond with a wide range of medical scholarships, internships and fellowships. Their support is fundamental to our ability to continue to provide an environment of academic support that helps students achieve their best in their medical degree. A critical mass of graduate medical students together in a vibrant community is central to our purpose of providing an outstanding place for medical students to live and learn. 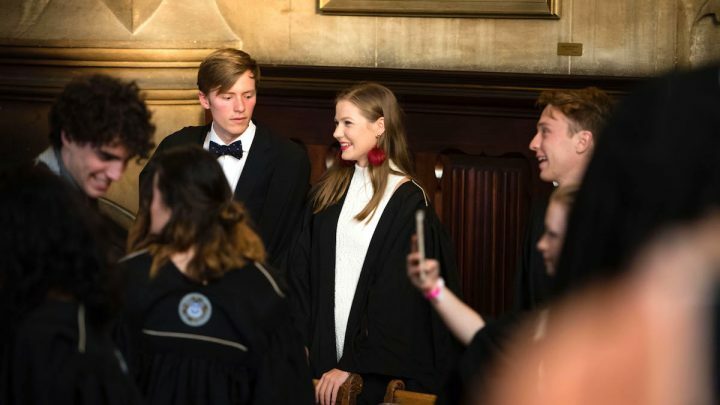 As a medical student at Ormond, you will be inspired and supported by your future colleagues and form fast friendships as you study, live, work and play together. The Ormond medical program is overseen by our two faculty fellows who divide their time between work at the faculty and at the College. The fellows co-ordinate academic support and professional engagement opportunities. In 2011, the College welcomed a resident medical tutor who provides medical tutorials and is available for individual student consultations. In addition to academic programs, Ormond offers a fully-sponsored internship to St Stephens Hospital in India each year, and a wide range of scholarships and financial assistance. A collegiate education in medicine at Ormond builds on your MD experience through individual knowledge and attention. Ormond’s small-group tutorials for medicine students have supported generations of alumni to strengthen the base of their medical knowledge. The medical tutorial programs are overseen by the College’s endowed Medical Fellow. Weekly graduate medicine tutorials are offered to support, enhance and deepen university learning. They can provide opportunities for more practice of professional skills, or a forum for connecting real-world situations with theory. The medical tutorials also provide a way for ideas to percolate across the cohort groups with the MD program at the University, exposing students to a wider range of concepts and viewpoints. Ormond’s MD students have formed their own Journal Club . The club meets three to four times each semester. The Journal Club is an efficient and effective way for students to stay abreast of the latest journal literature in medical science and apprise themselves of key developments which are important for current and future medical practice. Our professional skills development program has been designed in recognition that strong medical knowledge is not the sole factor in a successful and effective medical career. Management knowledge, interpersonal skills and public speaking ability are examples of capacities that can help you to make a stronger impact. A big, vibrant community of law students has long been part of Ormond’s heritage. We’re committed to building on that heritage under the Melbourne Model, to create legal graduates who will make a real contribution to the law in Australia and the world. 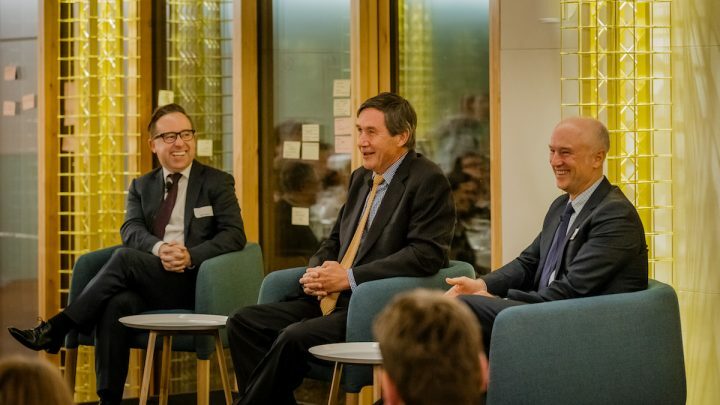 Some of Australia’s finest legal minds, such as Chief Justices Hayne and Dawson, have been residents in the College, along with hundreds of lawyers currently in practice. Regular graduate law tutorials are offered to support, enhance and deepen university learning. They can provide opportunities for more practice of professional skills, or a forum for connecting real-world situations with theory. The law tutorial program is overseen by the Senior Law Tutor, Dr Tim McEvoy. Professional engagements are unique, informal opportunities to see inside the profession, make decisions about specialisations and career paths, and network with people already practicing in the field. Our alumni community give generously and enthusiastically of their time to support the professional engagement program. Ormond is home to students studying a diverse range of graduate coursework and research degrees. Students come from a diverse range of backgrounds, with most Masters and PhD students outside of medicine and law coming from overseas. 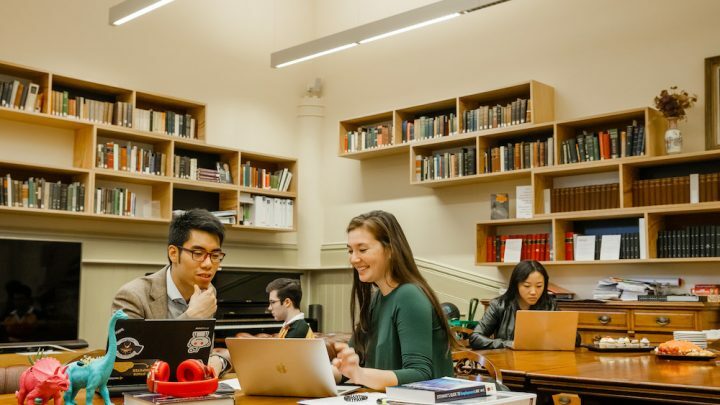 We accept graduate students from all faculties of the University of Melbourne, as well as the Melbourne Business School and the Victorian College of the Arts. Enquiries are also welcome from students of the Australian National Academy of Music. For graduate students not studying the MD or JD programs, academic assistance is tailored on a needs basis. For students writing a thesis as part of their degree, there is a regular thesis-writing group who encourages each other, discusses writing processes and keeps each other on track throughout the thesis writing process. Through the generosity of our alumni, Ormond is able to engage wonderful speakers to inspire conversation and reflection in our communities. The lectures (funded by the Robson Fellowships, the GEM Scott Fellowship, and the Barney Allen Memorial Trust) are significant events in the College year. 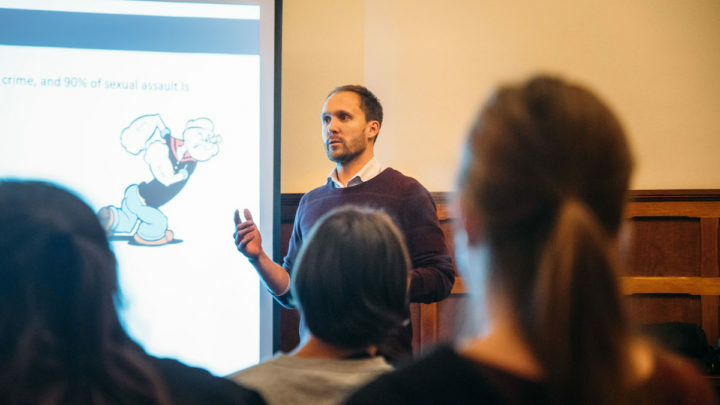 The Robson Fellowship is a visiting speakers program, established by alumnus Dr Graeme Robson in 2005, to foster the discussion and exploration of a broad range of ideas, values and issues at Ormond. 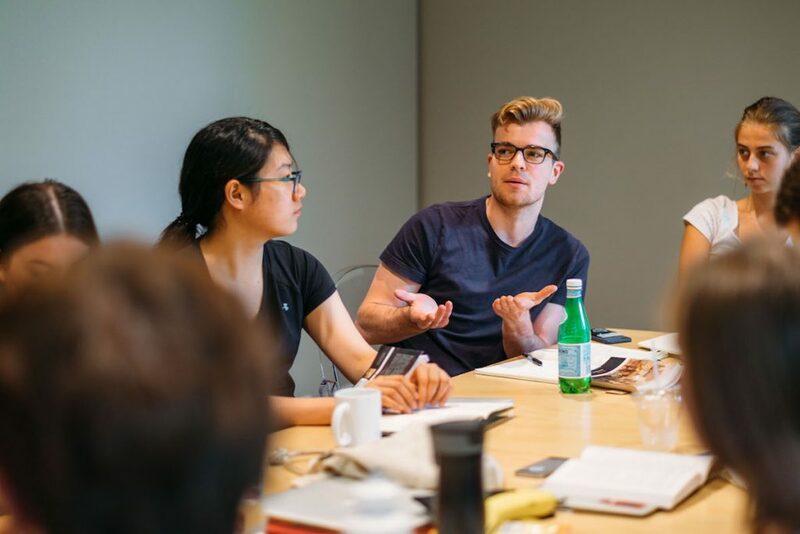 In keeping with Dr Robson’s desire to go beyond the format of lectures, Robson Fellows interact with students in a number of less-formal ways, which include in-residence programs, seminars, workshops, dinner addresses, debates, lunchtime forums, and small group discussions. The aim is to encourage and stimulate thoughtful discussion and exchanges with and between college residents.